Two graduate Texas A&M architecture students are pursuing health facility planning and design projects funded by recently awarded American Institute of Architects fellowships. One is studying outdoor spaces in pediatric hospitals and the other is developing design guidelines for an experimental cancer therapy regimen. 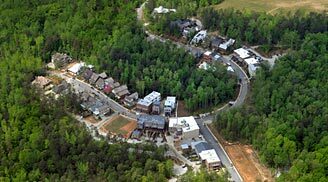 For creating a “sense of place” as the master planner of a the Serenbe community in Georgia, Phillip Tabb, professor of architecture at Texas A&M, was lauded in the May 29 issue of AIArchitect. The article states: “The stronger the sense of place, the more people feel invested in the community and strive to preserve it. Such a notion of sustainability is at the heart of the design..."